Home / Professional Wrestler Profiles / B / Bob Orton Sr.
Bob Orton Sr. is the father of Bob Orton Jr. & Barry “O” and the grandfather of current WWE superstar Randy Orton..
July 21, 1976 – CWF: Bob Orton Sr. defeated Sonny Rogers. 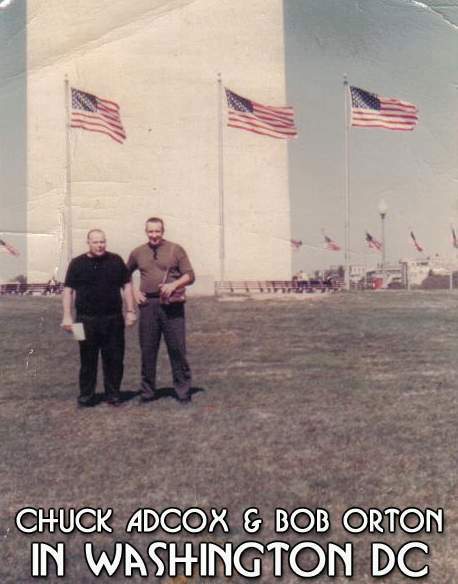 July 28, 1976 – CWF: Bob Orton Jr. & Bob Orton Sr. defeated Jack Brisco & Raul Mata. August 4, 1976 – CWF: Bob Orton Jr. & Bob Orton Sr. defeated Hiro Matsuda & Jack Brisco. 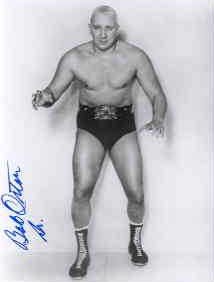 August 11, 1976 – CWF: Bob Orton Sr. defeated Bob Backlund. September 25, 27, 1976 – CWF: Bob Orton Sr. defeated Jan Nelson. October 18, 1976 – CWF: Bob Backlund & Jerry Brisco defeated Bob Orton Jr. & Bob Orton Sr..
October 23, 1976 – CWF: Bob Orton Sr. defeated Rick Oliver. October 25, 1976 – CWF: The Brisco Brothers (Jack Brisco & Jerry Brisco) defeated Bob Orton Jr. & Bob Orton Sr..
November 10, 1976 – CWF: Ken Lucas & Mike Graham defeated Bob Orton Jr. & Bob Orton Sr. to retain the NWA Florida tag titles. December 7, 1976 – CWF: Bob Orton Sr. defeated Ray Candy. February 22, 1977 – CWF TV: Steve Keirn defeated Bob Orton Sr. to retain the NWA Florida Southern Heavyweight Title. 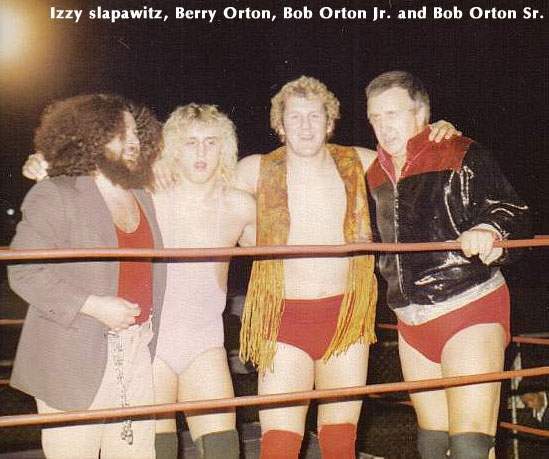 July 16, 2006: Bob Orton Sr. passed away at the age of 77 as a result of a Heart Attack. From WWE.com: Bob Orton, Sr., the patriarch of the famous Orton wrestling family, passed away on Sunday night. Orton, Sr. was the father of WWE Hall of Famer Cowboy Bob Orton and former WWE star Barry “O” Orton, as well as the grandfather of current RAW Superstar Randy Orton. According to Randy, his grandfather passed away as the result of a series of heart attacks. “He had a heart attack at home, and they took him to the hospital where he has another more severe heart attack,” he told WWE.com. “He had an eight hour surgery that gave him a 20 percent chance to survive; he did, but about 10 hours after the surgery he passed away.” A native of Kansas City, Orton began his career in 1951, and his biggest success came in the Florida and Central States territories. He held several regional NWA Championships in both territories, including a reign as Florida Tag Team Champions with son Cowboy Bob. 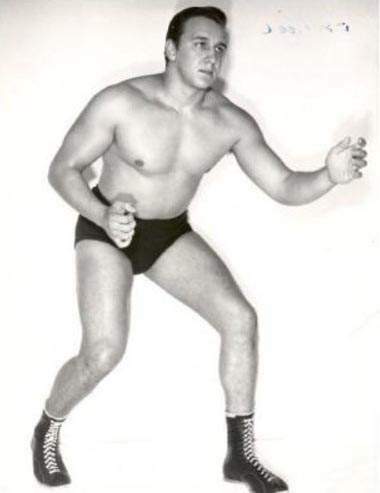 Known as “The Big O,” Orton also competed in the AWA, where he held the Midwest Heavyweight and Tag Team Championships, as well as Stu Hart’s Stampede Wrestling promotion in Calgary. In fact, Orton’s career spanned nearly a half-century, as he didn’t officially retire from the wrestling business until 2000. And even into his 70s, Orton was influential in helping his grandson transition into the business. “He always told me to keep my mouth shut and my ears open,” Randy said. “Dad always said it too, but I heard it from grandpa first. He had a lot of fun old stories that were real interesting; it’s a shame he’s gone. As I was growing up I knew how important he was for my father, and he was just as important for me.” Randy also shared one distinct memory of his grandfather with WWE.com. “I remember when my dad went into the Hall of Fame, he was there as I inducted dad. I mentioned him, and he was right up front in his wheelchair so I was able to make some eye contact with him. It was a great moment.” While Randy is saddened at the passing of his grandfather, he was able to get a lift from one of his fellow RAW Superstars. “Last night I was eating dinner with Charlie Haas, and he knew I was upset about grandpa passing,” Randy said. “He said ‘don’t worry, Russ (Haas, Charlie’s brother) is showing him the ropes up in Heaven right now.’ That put a smile on my face.” Unfortunately, Orton’s passing came just days shy of his 77th birthday, which would have been on July 21.